Ashley Rosser, Mullica Hill’s expert Financial Advisor offers Five Training Tips to get Financially Fit! I love fitness. I love running and have raced multiple half marathons. I have competed in many triathlons, including one half iron distance that took me over 7 hours to complete and I am currently in training to complete my second one. I absolutely love setting crazy goals, following a well laid plan, and then achieving what I once thought was impossible. Many comparisons can be made for how individuals can achieve “financial fitness”. America, as a whole is completely out of shape financially. Consider that 78% of Americans are considered to live paycheck to paycheck.Three quarters of workers would say they are in considerable debt. Most frightening, only 12% of Americans aged 55-64 have saved enough for retirement. 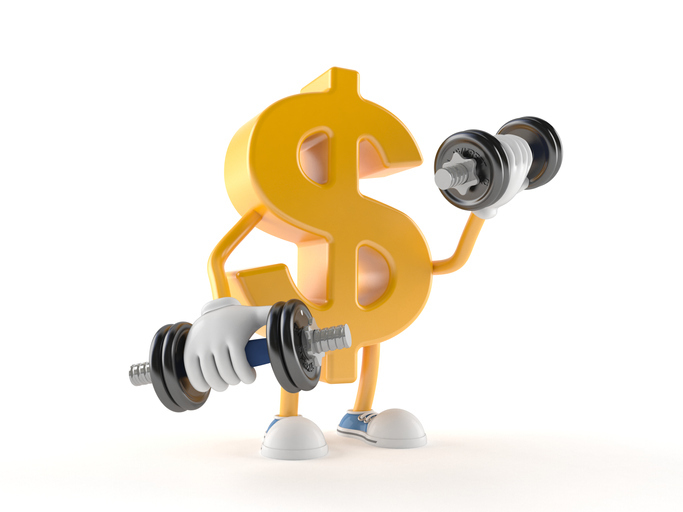 Five Training Tips to get Financially Fit! You can’t know how to get somewhere if you don’t even know where you want to go. It is ok to have different short term and long term goals. Maybe your immediate goals are to get a savings account built up, or to reduce your current high interest debt. But maybe long-term you want to make sure your retirement accounts are funded appropriately or you could want to save for a second home. Whatever your goals are, write them down and be specific. No one ever wants to actually do a budget, but it is impossible to make the best use of your money if you don’t even know what you are spending each month. Be honest and realistic. If you are spending $500 a month on groceries, then don’t budget for $200. Look at your spending trends and see if any adjustments can be made. No matter how tight your budget is, there is probably at least 2% of your income that is spent that you cannot account for. Think about how that 2% could be better used. 3. Save by paying yourself first. I just mentioned that you probably can’t account for at least two percent of your income that is spent. Make sure you are paying yourself first, just like a bill each month. $25 dollars a week means you can have $1200 saved in an emergency account in just one year. Start somewhere, and try to increase what you save each month. Chances are if you don’t see it, you won’t even miss it. While we are on the topic, make sure you are deferring into your 401k account. The sooner you start, the more advantageous it will be for you in the future. If there is a company match, make sure you max out your deferral percentage right away to get the full match. If you don’t, you are literally leaving free money on the table. Take inventory of what your debt and interest rates currently are. Try to pay off your highest interest rate balances first. Consider consolidation or transferring to a low interest rate if possible. If you do a balance transfer, make eliminating the debt a high priority. Most importantly, limit your future use of credit. It is incredibly freeing to climb out of the debt but easy to get sucked back down if you are not extremely careful with how you spend. I hired a coach for my first half ironman because I was overwhelmed and was not sure how to achieve success. A financial advisor can help you get on the right path for financial fitness. Before you hire an advisor, ask them how they will be paid. Are they paid on commissions or a predetermined asset based fee? Do they act as a fiduciary in your best interests? Make sure you understand what value you will receive for the fees you will pay. Consider using low cost, well diversified investment strategies for long term investments. If you are interested in getting more information on how to achieve financial fitness, feel free to make an appointment at our office. I would the truly love the opportunity to help you get into the best financial shape of your life. Comments Off on Is Your Advisor Concerned About Conflicts of Interest? Currently, moms and dads are constantly worried about all those winter viruses that kids seem to bring home this time of year. The former nurse in me always seeks out ways to protect our family from illness. The simple practice of washing hands, getting your flu shot and avoiding sick contacts goes a long way! Did you know there are also simple yet effective ways to keep disruptive “viruses” out of your investment accounts? They can lurk in the shadows, creating havoc without you even seeing them. Are you aware that using the wrong share class of funds can costs investors as much as 1% or more in overall costs? The exact same mutual fund can have 6 different share classes, all with varying fees associated with them. The least expensive share class will not pay any commissions or inflated fees to your financial advisor. They are commonly referred to as Institutional Share Classes. Higher fund expense ratios will act like a virus, quickly eating away at your portfolio performance. 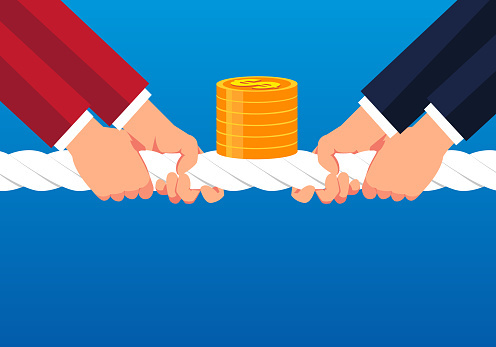 You should ask your advisor if you are using Institutional Share Classes and if they are unable to offer them, you should consider the merit of using an advisor who can. Do you want to make sure that your investment advisor puts your needs ahead of their own? Most people would say without hesitation, “yes!” However, few know that in order to ensure this, you must hire an advisor who acknowledges themselves as a Fiduciary. Many financial advisors act as a non-fiduciary, which means their recommendations do not have to be best for you. In short, besides the fees you pay your advisor, they can also accept commissions or receive other financial benefits from the mutual funds or products they recommend to you. Just as a physician has taken the Hippocratic Oath to “do no harm,” financial fiduciaries have a legal obligation to always act in your best interests first. Imagine going to the doctor with a cold and finding out they prescribed you a very expensive unnecessary medication because he received tickets to a sporting event for doing so. Working with an advisor who is a fiduciary means they can’t make recommendations that are not in your best interests. 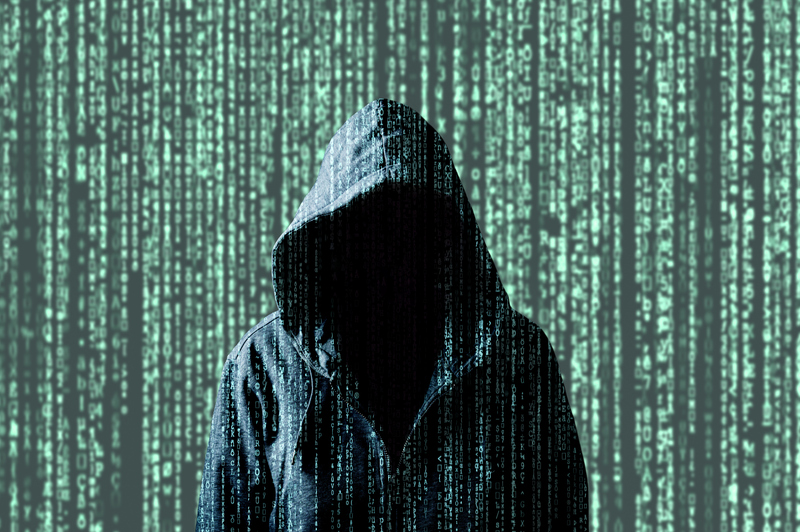 A Virus threatening your investments…. Are you well diversified, using the right mix of stocks, bonds and cash? If you aren’t sure, you could have a virus threatening your account’s long-term health. It is crucial for an investor to make sure they have the proper asset allocation based upon their goals and time horizon. Being too conservative early on, or too aggressive later can cause consequences that will be difficult to overcome. When you see your physician for your annual check up, they don’t just check your lungs or eyes. Rather, they look to see how all your systems are working together and determine if any recommendations should be made based upon your exam. A holistic advisor will look at your overall financial health and be able to help you make decisions that will give you the best opportunities for success. No two investors are the same; the right advisor will guide you through a comprehensive screening and then help you interpret what the results mean. Simple steps to avoiding Viruses…. Just like a simple practice such as frequent hand washing can prevent winter sickness, so will a simple check-up of your financial strategy, help keep your investments healthy and free from costly disruptions. 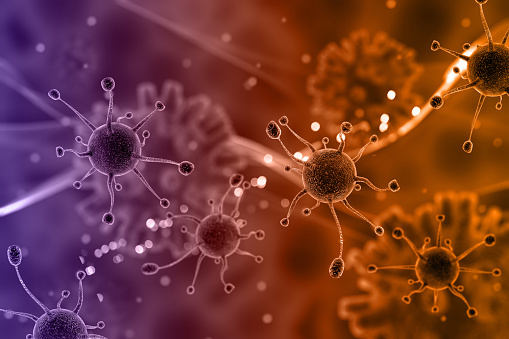 If you have any questions in reference to “viruses” that can affect your financial health please don’t hesitate to contact me, of course with no obligation. Wishing you and your family great physical and financial health. Investing in the stock market can be unpredictable, and even scary if you are not prepared ahead of time. 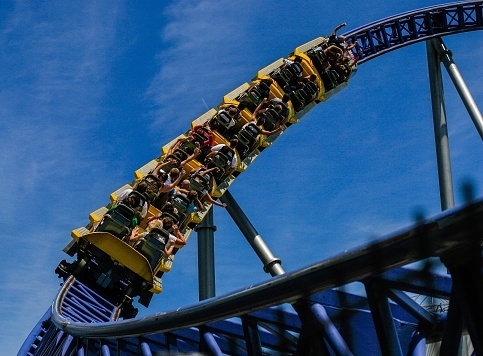 If you recently looked at your most recent 401k statement, you know the stock market has been taking investors for a wild ride. On December 24th 2018 the Dow Jones dove 600 points. One week later on New Year’s Eve, the market rallied and climbed 265 points, lessening the blow from the previous week. It left some investors shaken, wondering what’s next? Some may have even opted to “get off the ride”, without really understanding the long term effects of doing so. I’m reminded of when I took my daughter on her first roller coaster. As we were waiting, I prepared her. “We will climb way up that hill. Once we get to the top, we will come down really fast. We will go up and down a few more hills, but we will be safe and you will have fun.” As we began, my daughter anxiously looked down below and said, “I don’t want to go down the hill anymore.” I held her hand saying, “we have to go down, it’s all part of the ride”. As we raced down the first hill she screamed, “I WANT TO GET OFFFFFFF!” I told her if we got off now, we would get hurt, we had to finish the ride. That afternoon reminds me of what investors should remember during periods of volatility. You can’t expect the market to be permanently rising. History has shown us that we can expect a negative performing year every five years. Yes, we are well overdue. How do you ride out the turbulence? First, make sure your train is on a well laid track. Ensure you are appropriately invested in a well-diversified account. A financial advisor can help you determine what percentage of stocks, bonds and cash you should consider investing in your portfolio. Your risk tolerance and time horizon should be large consideration. A good rule of thumb is if your portfolio is appropriate today, it should still be appropriate tomorrow even if the market environment has changed. Don’t “get off the ride” prematurely. Choosing to change your positions or get out of the market during a market downturn can lock in any losses permanently. Diversification is key for most long term investors. Having exposure to different asset classes and sectors will allow you make the most of a volatile market. Keep investing, even when the market is down. Remember, when the value of mutual funds go down you are essentially buying market shares “on sale”. Who doesn’t love a good sale? Also, investors should make sure the fees they pay are reasonable. While you can’t control the market, you can certainly control costs within your investments. Overpaying for advisory services will certainly cost you a lot in the long run! Finally, remember the ups and downs and turns are all part of the ride. In case you have not heard, there is a mega millions drawing happening tonight. Actually, it’s a $2.6 billion dollar drawing. It has created a lot of excitement for many. Everywhere you go, you can hear people talking about what they would do if they won, where they would go, and what they would buy. Many have expressed quitting their jobs right away, buying a new house (or island), or helping family members. It seems people are inspired to dream when they have a chance of “winning big”. I have to admit, it is fun to get lost in the “what would I do with a billion dollars” fantasy. Unfortunately, the odds are certainly not in our favor of winning the lottery. I read somewhere that you have a better chance of “being drafted by the NBA or being killed by a vending machine” then winning the lottery. Yikes! But still, Americans across the country are excitedly buying their tickets in anticipation that this could be the life change they have been waiting for. What if I told you that you don’t actually need luck to become a millionaire by the time you are 65. All it really takes is some forethought, discipline, and time. In fact, if you are still in your 30s, all it takes is saving $7,000 a year through a retirement account. That works out to about $580 per month before taxes. Which really means you will probably only miss about $460 from your actually net pay check. Friends, that is only about $220 per biweekly pay. Can you find a way to defer that into a 401k or IRA for the future payout of $1,000,000? Can you start with something smaller and build to achieve the ultimate goal? Someone in America might become a billionaire tonight, but it is possible for many more to become millionaires by the time they retire. It all starts with making the choice to save now for the future. 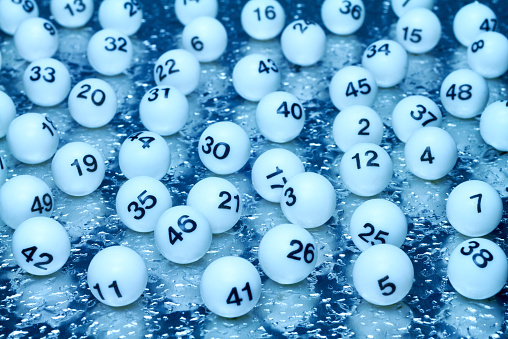 We love helping our clients hit the “retirement jackpot” … no lottery ticket necessary! Comments Off on Are the odds in your favor? Our coats for Kids campaign was born from the experiences of our President, Ashley Rosser. Prior to her career at Victory, Ashley was a pediatric nurse for a hospital located in West Philadelphia for over ten years. She was often reminded of the daily struggles of so many children living in the nearby communities. Throughout the long winter months, while driving to work she would see small children walking to school in the bitter cold without jackets, hats, or gloves. This has forever stayed in her mind and she always hoped to one day help make a difference in the lives of children who are not able to have the basic necessities. This was the catalyst for Victory Fiduciary Consulting’s first “Coats for Kids” campaign last year. Over two months’ time, Victory collected 75 new and like new coats for kids and adults. 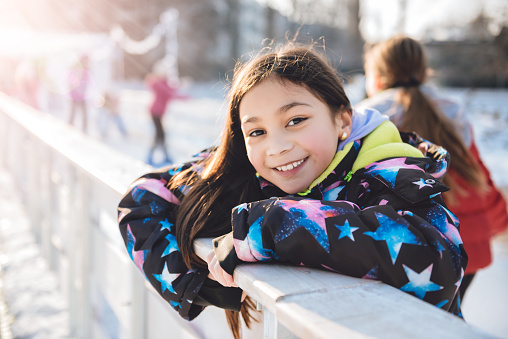 By working with local schools, Victory was able to provide over 30 coats to children in need who live right in our communities. An additional 40 adult and children’s coats were donated to a mission in Camden who directly handed them out to those in need. We are hoping to make a difference again this year by collecting new and like new coats for kids and adults. We will be working with our local schools to distribute specific coats to students who have been identified to be in need. This year, we will also be taking donations of hats, mittens and scarves to go with the coats. You may drop off any donations to our office at 53 N. Main Street Mullica Hill NJ. We will also have a box on our porch for after-hours drop offs. We will be kicking off the “Coats for Kids” campaign at our annual Client Appreciation Day Open House on October, 25th from 3pm-7pm. Thank you so much for helping us make a difference in our community. Let’s look at making the case for life insurance. Life insurance isn’t about YOU. It is about your loved ones. When a spouse/partner dies unexpectedly, many times their loss is catastrophic to their family’s financial stability. Many households are two income families; the sudden loss of one’s income can be insurmountable for their family to overcome. No one ever wants to talk about the need for life insurance. It is an uncomfortable subject and most people view it as “the only purchase I hope I never need”. Unfortunately, the reality is by the time one realizes they or their partner should have purchased life insurance, it is often too late. One of the objections I hear often is “We are young and healthy, I do not see a need for it right now”. Wrong. The best time to look at purchasing insurance is when you do not have any medical issues. Once you receive a serious medical diagnosis, it can be very difficult and sometimes even impossible to secure coverage for yourself. Rates are also much more favorable for a younger, healthy person. Another response I hear often is “but I have coverage through my employer, why do I need my own policy” Unless you can guarantee that you will work for your current job until you either die or no longer need insurance, you are taking a gamble that you will have coverage when it is needed. 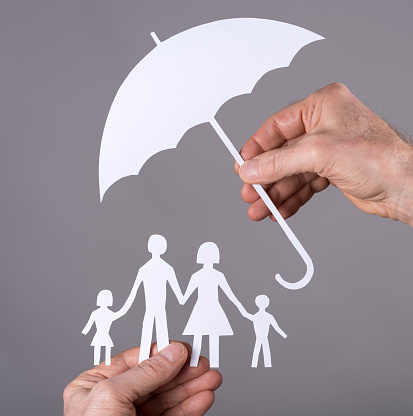 There are different types of insurance that offer different benefits and purpose. Some will simply provide a death benefit for a specific dollar amount and are guaranteed for a set number of years. Their payments are typically fixed for the duration of the contract. There are other insurances that can provide coverage “for life”. The premiums may be fixed or variable, depending on the specific coverage you are looking for. Some contracts are strictly designed to provide a death benefit, while others have cash value benefits as well. It is important to sit down with an insurance professional who can help you determine how much coverage you should consider having and what type of insurance would best suit your specific needs. At Victory, we use a specialized program that helps our clients determine how much life insurance they should consider purchasing based upon their current needs and lifestyle. It is important to be well informed of your needs so you can properly protect your family for years to come. 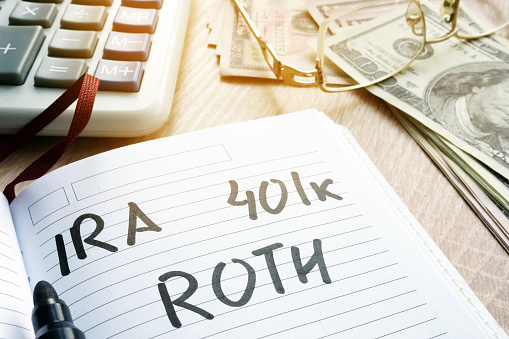 People always ask me “How Much Should I Contribute to My 401K?”, but many Americans are still not contributing anything to their company’s 401k plan. Of the employees who actually have access to a company sponsored retirement plan (only about 55% currently contribute) about 35% of these are still not contributing anything at all to their retirement. The grim reality is that for most, the only savings they will have at retirement will come from a company sponsored retirement plan. Those who do contribute are probably significantly underfunded. Many Americans have no idea how to even begin to project what current deferral rates they should be targeting. A good rule of thumb for anyone to use is saving 10% of salary for 30 years. However, most employees are still living paycheck to paycheck, making 10% off the table, at least to get started. What should you do? I recommend to my clients to start off with ANY AMOUNT POSSIBLE to at least get themselves into the plan. Most people say if they never see it, they do not even miss it out of their check. If you are contributing to a tax deferred account (like a 401k, SIMPLE IRA or SEP) remember that your check is taxed AFTER your deferral so you will be missing less than the amount you are saving. If your employer offers a match and you are not maximizing that, you are literally leaving money on the table that your employer is trying to give you for retirement. 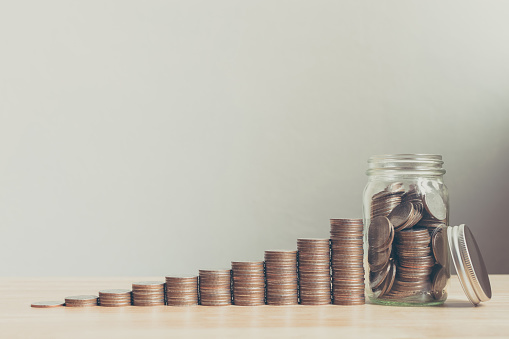 Once you start saving for retirement, the next goal is to defer just 1% more than the year before until you hit the 10% goal (or possibly more depending how close you are to retirement and how underfunded you are). 1% more each year can have a significant impact on your retirement balance at retirement. An employee who earns $15 per hour during a 40 hour work week could save an additional $30,714 over 30 years by just increasing their deferral rate by 1% more each year. It is noteworthy that this 1% would amount to about $9.60 per bi-weekly pay going into their retirement account. That is just a few coffees or a pack of cigarettes! Saving for retirement does not have to mean a huge change in habits, just a commitment to making small but powerful changes over time. We can offer you a complimentary full scope review to determine if you are currently underfunded for retirement. We will help you develop a plan to get back on track by using our retirement readiness program. Comments Off on How Much Should I Contribute to My 401K? Victory Fiduciary Consulting is proud to offer you tools and tips to protect yourself from identity theft. Unfortunately identity theft is a growing problem as our reliance on technology increases. It is important to be proactive to protect your identity and personal information. Avoid Public Wi-Fi – Scammer’s can setup unsecured networks that hack data from your device. If you do use a local hotspot for Wi-Fi, make sure you use a password secured network and avoid conducting financial transactions or logging into your bank account. Passwords – Make sure your passwords are complex and change them often. Passwords should have a minimum of 8 characters, letters, and numbers. Avoid using personal identifiers (name, date of birth). Social Media – Be cautious of what you post on social media. Do not give easy access for criminals inadvertently. Avoid listing who you are with, your location, when you are on vacation, etc. This may give criminals information allowing them to break-in to your house or trace your footsteps. Applications – Avoid installing suspicious applications and only download from reputable websites or applications. Scammers create apps that can allow your personal device data to be breached. Information such as saved passwords, personal data, banking credentials can all be vulnerable. Phishing scams – Attempts made by scammers who create fraudulent e-mails, pop ups, and messages that looks like they are from legitimate companies. They attempt to collect your banking, credit card, passwords, or personal information. If you are unsure if it is legitimate, take the extra step and call the company to verify before providing any information. Phone scams – Avoid answering a phone number do not recognize. Scammers will use phone numbers that resemble a local number in hopes that you will answer. If you do answer and the recording or live person is claiming to be your Credit Card Company or bank, just remember that your Credit Card Company or bank will never call and ask for your personal information. Immediately hang up and call your bank or credit card company to confirm. If you receive a threatening call from someone demanding payment, hang up and call the business they claim to be from. Review your credit report often. You are entitled to a free copy from each of the three nationwide credit reporting agency every 12 months. Call 1-877-322-8228 or order online from www.annualcreditreport.com (only authorized website for free credit reports). Monitor your bank accounts, credit card transactions, and billing statements early and often. Don’t be afraid to ask questions about security practices at your doctor’s office, bank, hospital, utility companies, etc. If you want to be proactive about protecting your credit, placing a freeze on your credit report with each of the credit monitoring companies is the best way to prevent someone from opening unwanted accounts with your social security number. Record Keeping – Be sure to keep records of all correspondence with the creditors and agencies you contact. Follow up all telephone calls with a letter and keep a copy. Creditors – Notify all creditors and financial institutions, in writing and by phone, that your name and accounts have been compromised. To receive your free card blocker from Victory, give us a call at 856-464-3100 ext. 109 and we will ship yours out today!